Precision farming needs vary greatly depending on the area where it is applied. For this reason, Qampo offers a wide range of dataloggers that adapt to the needs of our customers and which vary fundamentally in the number of sensors that can be connected. Install your datalogger easily and forget about it. In Qampo we are concerned about the details, and we know that the installation in the crop should be simple. For this reason, our dataloggers incorporate brackets for installation in posts of different thicknesses and push-pull connectors that greatly facilitate the connection of the sensors. 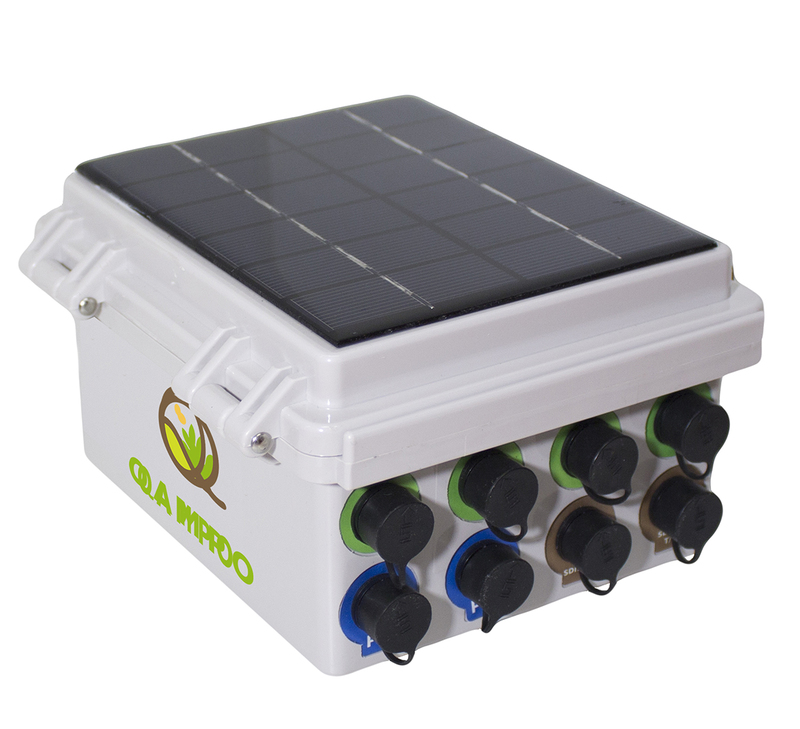 Qbic is a rugged device prepared for the most extreme temperature and humidity conditions, with an IP67 degree of protection, easy to install and with an integrated solar panel. 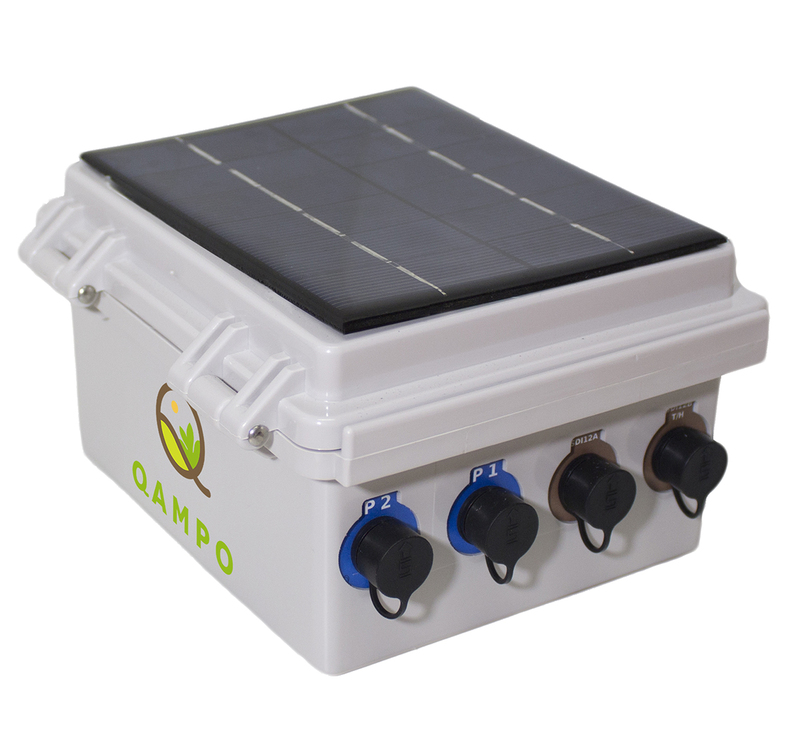 It incorporates a lithium polymer battery that can drink without solar recharge for up to 4 months, thanks to the Qbic ultra low consumption measurement system, besides it recovers to 100% with only a few hours of sun. Up to 4 analog inputs. Up to 2 pulse inputs for connection with meters, pluviometer, anemometer and others. Up to 2 SDI12 sensors: Sentek Drill and Drop, Decagon: 5TE, GS3, 5TE and others. Up to 8 analog inputs. Up to 3 SDI12 sensors: Sentek Drill and Drop, Decagon: 5TE, GS3, 5TE and others.